Some of you asked to know more about YUM (the ‘Yayasan Usaha Mulia’), which is the Indonesian charitable foundation that I am working for here. Here is an article I wrote for publication in the Jakarta Globe about the work of YUM Agro. 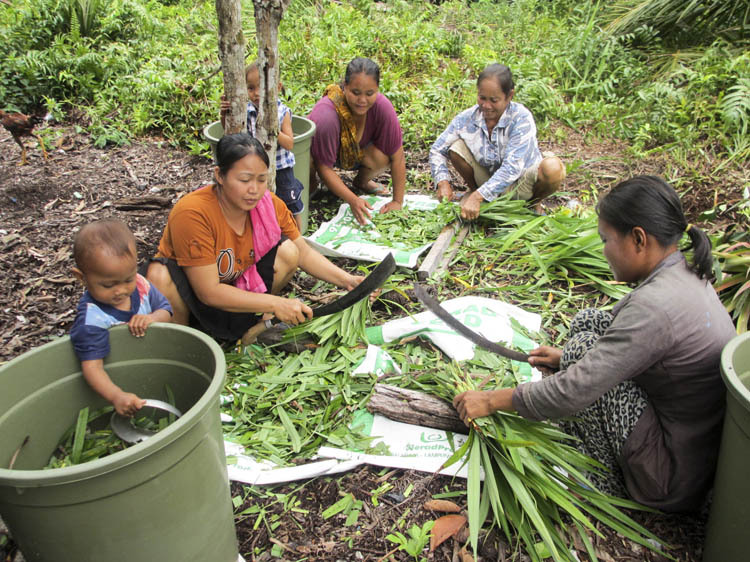 It doesn’t describe my particular role, but gives a reasonable overview of the valuable work being done by YUM on the ‘Agro’ Project here in Central Kalimantan. Note that only one of the photos (the last one!) is mine – and all are ©2014 YUM. Bukit Batu, Central Kalimantan. Central Kalimantan may be better known for depressing reports about the loss of its forests, but there are also some good news stories. 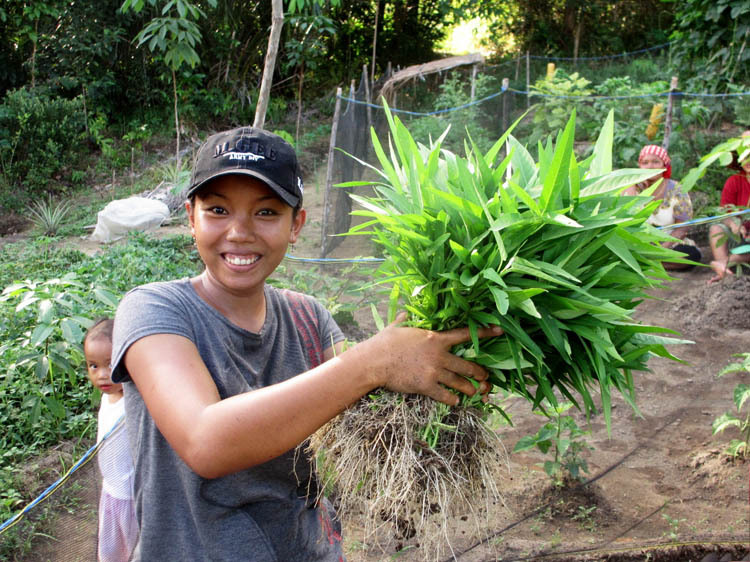 For one, the Yayasan Usaha Mulia (‘YUM’– the ‘Foundation for Noble Work’) is working with local communities in the Bukit Batu district to establish hundreds of home vegetable gardens, providing a year-round supply of tasty and nutritious produce for local families. YUM has been working to improve the lives of people in some of the poorest communities in Indonesia since 1975, and in Central Kalimantan since 2000, with targeted and highly successful projects to combat malaria, provide clean water and improved sanitation, and to support early childhood education. It became increasingly clear that lack of access to fresh and high quality vegetables and fruit was undermining the nutrition and basic health of people in the district’s seven villages. So, in mid-2011, with support from Susila Dharma International and the German Government, the ‘YUM Agro Project’ was born. The district suffers from poor soil fertility, with acidic soils of sand and peat, and the equatorial climate is rather challenging. The environment has been compromised by logging and burning of forests, drainage of wetlands, siltation and mercury contamination of the rivers. Most vegetables and fruit are imported, rarely fresh, and often contain high levels of chemical residues. The YUM Agro Project aims to help by facilitating the establishment of home gardens, delivering a continuous supply of clean, fresh, healthy and delicious vegetables. “I worry about pesticides in the imported produce”, says Ibu Khoiratun from the village of Suka Mulia. “But thanks to YUM I can now plant and grow my own organic vegetables – and reduce my spending at the market”. 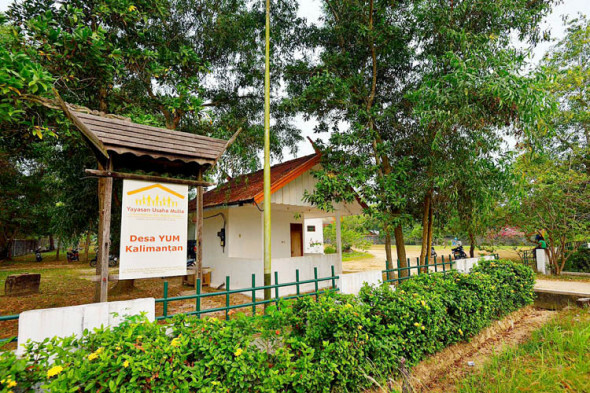 Prior to working with the local Dayak and ‘transmigrasi’ (mostly Javanese) communities, YUM established two Rural Centres. These incorporate model gardens to demonstrate what can be achieved, and a small laboratory and other facilities for research and trial of ‘best practice’ techniques (adapted to local conditions) – before their use in the field. 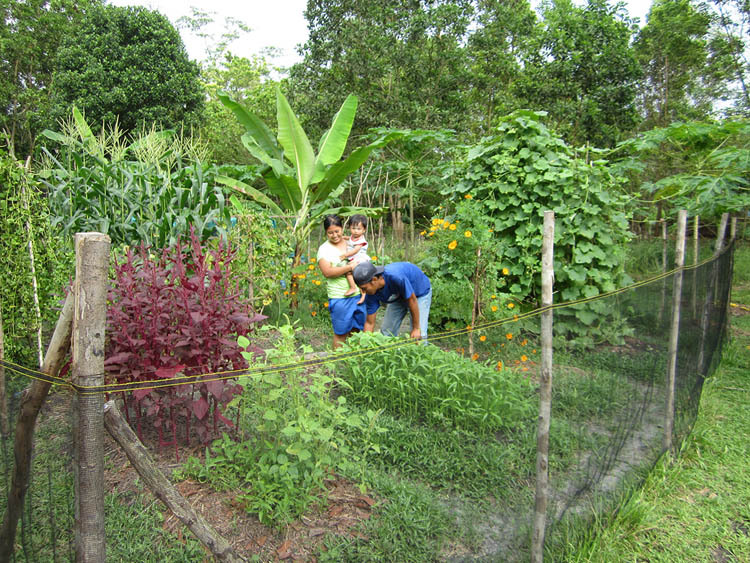 The focus was on developing a successful Homegarden Model, using sustainable organic practices and permaculture principles. Newer techniques such as bokashi, biochar and beneficial bacteria are employed – indeed, any techniques to improve soil quality which are proven to be effective, practical to implement, and sustainable over time. YUM hasn’t tried to ‘reinvent the wheel’, but has worked closely with a range of external organisations with relevant expertise. These have included the Southeast Asian Regional Centre for Tropical Biology, Bogor Agricultural University, the Indonesian Research Institute for Animal Production, the Indonesian Development of Education and Permaculture and Sukabumi Freshwater Aquaculture Development Centre, amongst others. YUM employs a young team of agriculture graduates, all with enthusiasm, local knowledge and connections to the communities. Their technical skills, and their ability to deliver training in culturally appropriate ways, have been critical to the project’s success. They provide training to new participants over a total of 15 days, broken into stages to coincide with key milestones such as bed preparation, planting, Integrated Pest Managment, Seed Saving and harvesting. This is backed up by ongoing monitoring, assessment and support. Small groups of (mostly) women go through the training together. After contractually committing to the project, they are provisioned with basic equipment to get them started (a hoe, watering can, a bucket, fencing materials and seeds). Within three months, each home gardener has prepared eight garden beds, and is already harvesting and enjoying their first crops of legumes, leafy vegetables, tomatoes, eggplants, chilli and tubers. From its focus on home gardens, the project has expanded into small animal husbandry, with village participants raising poultry and commencing small pond fish farming, to supplement existing protein sources. 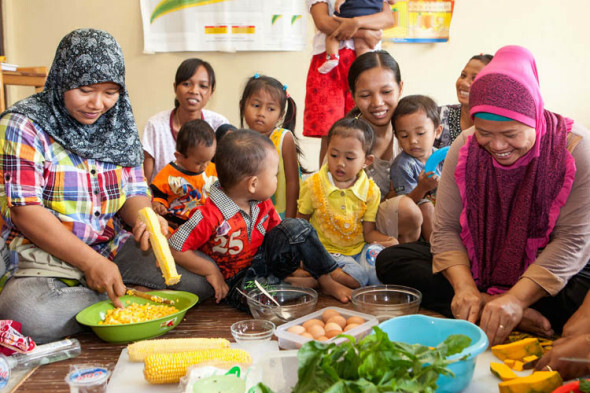 And secondly, YUM conducts a popular program of cooking classes at each of the local community health centres (posyandu) promoting good nutrition and healthy cooking practices to local women. The Project involves a complex web of culture, technology, botany and local sensitivities. The program has been continuously evaluated and refined, and has had to overcome many challenges and obstacles. Future plans for the YUM Agro Project include expanding selected home gardens into small scale farms, improving food sources for chicken and fish, and further development of the nutrition program. This entry was posted in General and tagged Central Kalimantan, Kalimantan Tengah, Yayasan Usaha Mulia, YUM, YUM Agro Project. Bookmark the permalink.